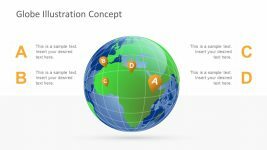 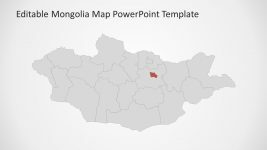 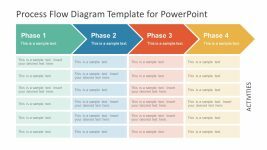 The PowerPoint design may be used to present four key areas of note for a business presentation. 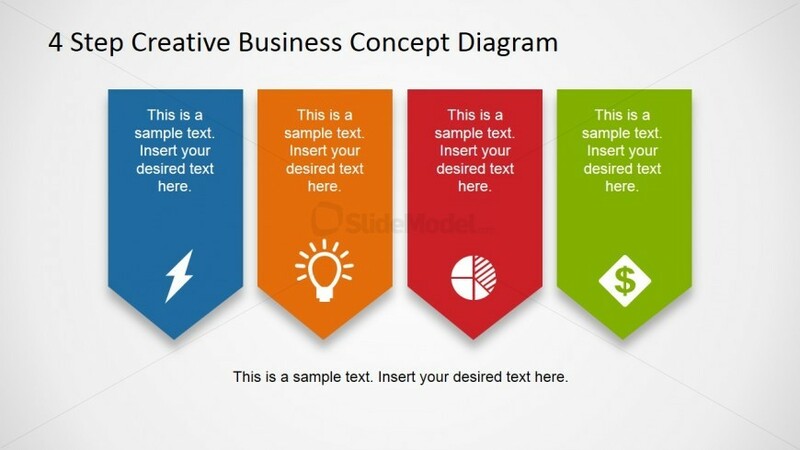 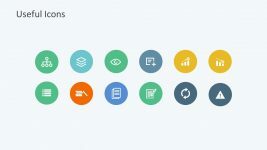 Found in the Office template are four bookmark shapes for PowerPoint with icons placed in succession. 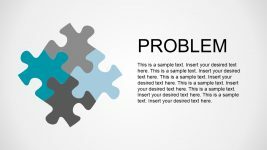 Each of the bookmark shapes contain a generic icon and a text placeholder where a descriptive statement or a short explanation may be placed. The bookmark shapes are also distinguished from each other through colors, blue, orange, red, and green. 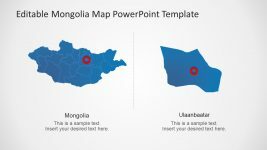 Found below the PowerPoint graphics is a text placeholder where a short description for the entire slide design may be inserted. 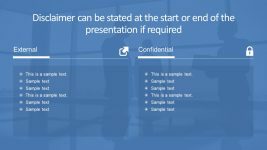 The PowerPoint objects may be modified to suit the presenter’s preferences and needs, as they are 100% editable.